On Monday the UK Chancellor will be announcing the Autumn 2018 budget. Looking ahead, government support to business is crucial, amidst a year of ongoing uncertainty relating to Brexit and economic growth. Stability for small and mid-size business and corporates is key to this growth, encouraging employment and income - Business should be at the forefront of the Chancellor’s considerations. Investment in business : increase support and simplification of the EIS process (Enterprise Investment Scheme) which encourages early stage investment . This follows the consultation Earlier in 2018 relating to improvements in EIS. Enabling and sustaining growth particularly in the knowledge and technology sectors and providing further stimulation post Brexit. Together with EIS, other measures should be communicated to relevant firms, such as the technology visa and further support for growth via the DIT as well as funding available via investment funds, . Further simplification of the apprentice levy will increase youth employment and training, and simultaneously provide companies with resources and ability to employ the next generation. The Government has to deliver a clear message that the UK is Open for Business, as well as attractive to investors locally and internationally. A further reduction to Corporate tax to 15% will shout this message loud and clear (already previously confirmed to reduce to 17% from 1 April 2020), amongst the lowest in OECD. These factors combine with non-budget measures around rights to work post Brexit, enabling grants as well as a strong funding and investment environment. There is also currently much talk relating to a tax on digital business, which is a minefield for any politician. Ensuring this type of tax only targets appropriate companies instead of inadvertently capturing early innovators in the net is key - government needs to work on an international basis for consistency and a sustainable solution. Other helpful measures include tax relief relating to intangible assets (eg. IP, the backbone of all technology businesses) and additional Entrepreneur’s Relief when business owners sell. When considering attracting global investors in the current market climate - removing non-domicile restrictions relating to investments in UK businesses through the Business Investment Relief (BIR) will further encourage investment; currently various company structures are excluded for example, partnerships or sole traders. Employment tax is likely to be impacted and again, requires careful review to ensure the target companies captured are not those at the small and micro business end of the market such as, self-employed in the gig economy. Instead further thought should be given to these major shifts in the structure of our economy and employment in the sea of technology, driving services growth amongst self-employed. While HMRC has collected hundreds of millions after the introduction of IR35, the stage has been set for potential increases in NIC, after previously not abolishing class 2 NICs - although we hope to see any changes impacting specific market segments. Any and all potential competitive pressure on the UK should ensure we are in the midst of trade discussions around Brexit, there are many balls of uncertainty up in the air. In order to ensure an equal grounding between the UK and various EU countries with a current trade advantage through tax, the budget should also address delayed accounting for import VAT, applying to both goods from external to the EU, as well as from within the EU if there is a no-deal Brexit This allows all importers to use their VAT returns to offset import VAT - a significant cashflow impact currently paid up front at the point goods landing in the UK. Akoni is clearly in support of the various structures and enabling a supportive business and investment environment, particularly for SMEs and small corporates. This ensures business can flourish, and maximise opportunities presented in the current challenging and uncertain market. 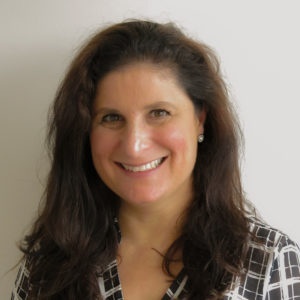 Felicia Meyerowitz Singh is CEO and Co-founder of Akoni, providing financial automation and increasing returns to businesses, and leveraging Open Banking with solutions to Banks and Relationship Managers for SME and Corporate clients. Contact Akoni or sign up online for Cash Portfolio manager or personalised Export Planner. Previous Entry A Solution for Under-Resourced Charities?